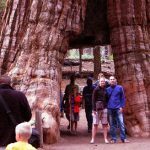 California Giant Sequoias and Coast Redwoods: Yosemite National Park is world famous for its impressive waterfalls, meadows, cliffs, and unusual rock formations, but there are also three impressive and iconic Groves of Giant Sequoias. 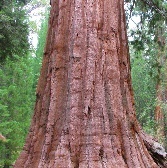 The Giant Sequoias and Coast Redwoods are the sole living species of the genus Sequoia in the cypress family Cupressaceae. 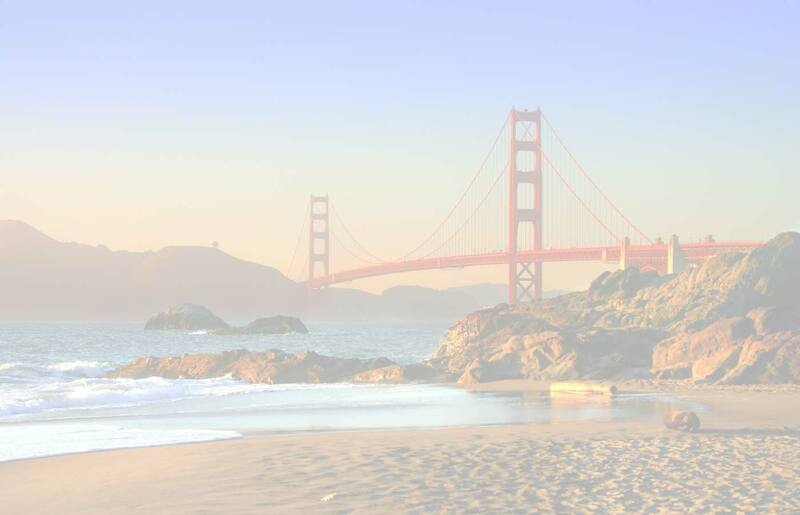 The Giant Sequoia are found in the Sierra Nevada and the coastal giant redwoods found in Redwood National Park, and other State Parks located in Northern California. The Redwood tree is an evergreen, long-lived, monoecious tree living 1,200–1,800 years or more. This species includes the tallest living trees on Earth, reaching up to 379 feet (115.5 m) in height and up to 29.2 feet (8.9 m) in diameter. These trees are also among the oldest living things on Earth. 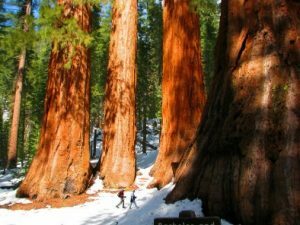 The Giant Sequoias are much larger and older than the Coast Redwoods, they can be as old as almost 3000 years, 275 feet (83 m) tall, and is over 36 feet (11 m) in diameter at the base. 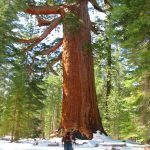 The Mariposa Grove of Giant Sequoias: Mariposa Grove is a grove of giant sequoias located near in the southernmost part of Yosemite National Park. 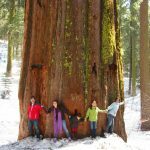 It is the largest grove of giant sequoias in Yosemite National Park, with several hundreds of giant sequoias in this iconic grove, two of its trees are among the 30 largest giant sequoias in the world. One of the trees in this grove is known as the Grizzly Giant, a giant and ancient sequoia-between probably 2000–2400 years old: this is the oldest tree in the grove. The Mariposa Grove was first visited by non-natives in 1857 when Galen Clark and Milton Mann found it. They named the grove after Mariposa County where the grove is located, and in 1864, President Abraham Lincoln signed an Act of Congress ceding Mariposa Grove and Yosemite Valley to the state of California, which lead later to the establishment of Yosemite National Park on Oct 01, 1890. The Fallen Monarch, is a tree that fell more than three hundred years ago; the Washington tree is the largest tree in the grove, with a volume of 35,950 cubic feet (1,018 m3), the California Tunnel Tree was cut in 1895 to allow coaches to pass through it (and as a marketing scheme to attract visitors to the grove), this is the only living giant sequoia tree with a tunnel in it since the fall of the Wawona Tunnel Tree in 1969 and the fall of the Pioneer Cabin Tree in 2017. Other top trees include: The Faithful Couple, the Clothespin tree, the Telescope tree – a tree that has become completely hollow from repeated fires through the decades. Despite that, the tree is still living, as giant sequoias do not require a whole trunk to survive. It is possible to walk inside the tree and, from there, see the sky. This condition leaves the tree weakened and makes it more difficult for it to withstand strong winds. This tree (and the Clothespin Tree) could topple at any time. The Columbia tree is the tallest tree in the grove and in Yosemite National Park at 285 feet (87 m). The other knows trees are the Galen Clark tree, the Fallen Giant and the Massachusetts tree. 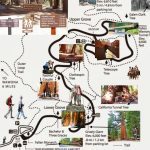 Hiking in Mariposa Grove: the hiking Distance from the parking lot inside the grove: 2.2 miles (3.5 km) round trip for the lower grove; and 5 – 6 miles (8 – 10 km) round trip for both the lower and upper groves. 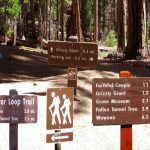 Depending on the hiking trail you may choose, the hiking time may take from 1 to 6 hours to complete the entire loop to reach Wawona Point Vista at the top of the forest, it’s a 6-mile hike with 1,200 feet of elevation gain. 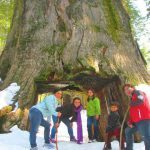 The 1.6 miles out and back to the Grizzly Giant and California Tunnel Tree is recommended for visitors, hikers and even bingers. 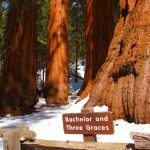 The Tuolumne Grove of Giant Sequoias – Tuolumne Grove is a sequoia grove located near Crane Flat in Yosemite National Park, it’s about 16 miles (26 km) west of Yosemite Village on Tioga Pass Road. The grove contains many conifers, including a few Sequoiadendron giganteum as well as fir trees, cypress, cedar, dogwoods, and oak trees. 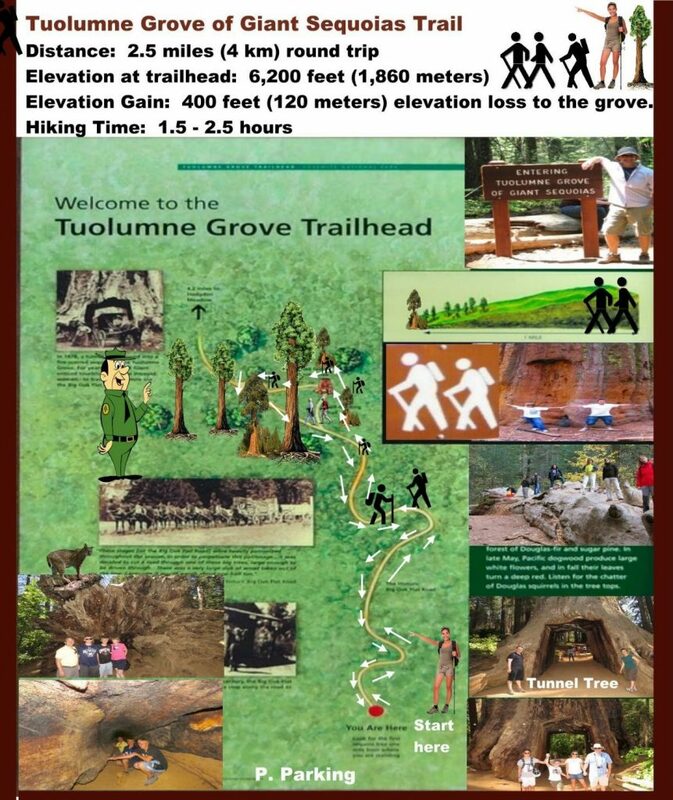 While smaller than the Mariposa Grove; the Tuolumne Grove is less visited and provides a more secluded experience. However, when the other groves are closed, this can be very crowded, so go early! 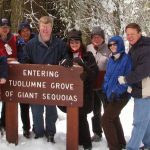 Hiking to the Tuolumne Grove: Looking for a nice, tranquil, easy hike to see some mind-blowing trees? The entire hike to this grove is downhill but harder on the way up, still doable even for beginners. It takes about 75 to 120 minutes complete this 2.5 miles (4 km) round trip. 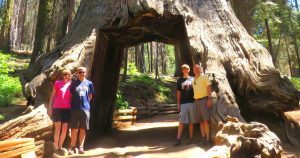 The grove features a Dead Tunnel Tree which can be walked through, a fallen sequoia and other many giant and old sequoias still standing in the grov. 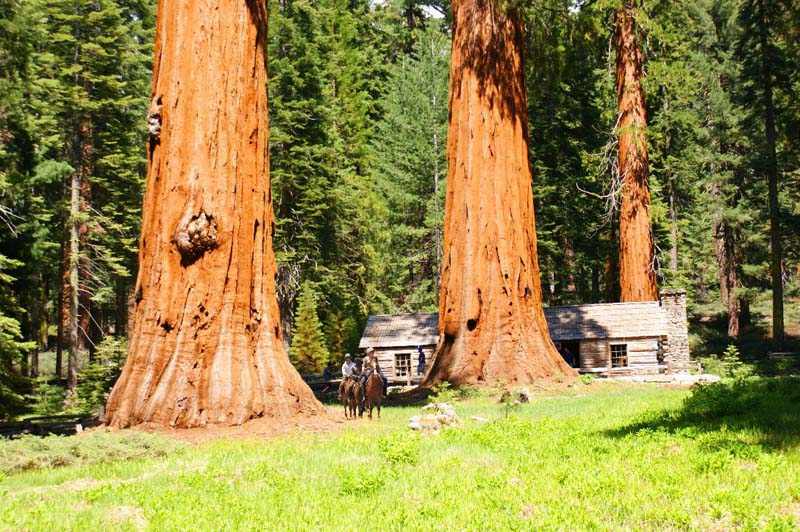 The Merced Grove of Giant Sequoias – Merced Grove is the smallest of the three groves of giant sequoias in Yosemite National Park. 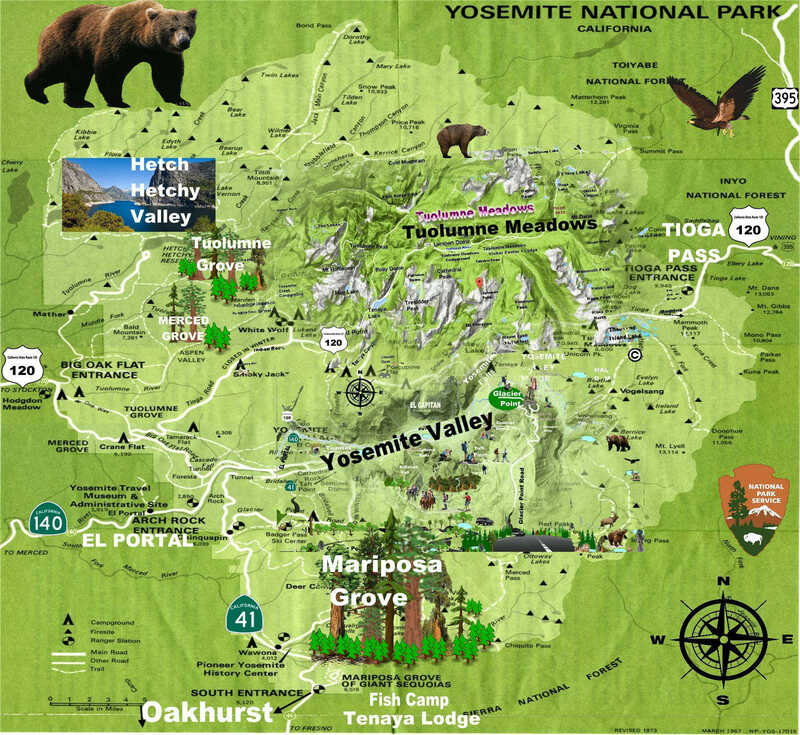 This grove is located four miles south of the Tuolumne Grove along highway 120. Once the road to the grove used to be a stagecoach route to Yosemite, and the sequoias attracted visitors to the Yosemite National Park. To hike to the Merced Grove, it takes about 3 to 5 hours to complete the 3 miles (4.8 km) round loop. 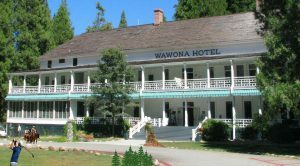 Historic Wawona Hotel in Yosemite- The Wawona Hotel is one of the oldest mountain resort hotels in California located 4 miles (6.4 km) from the park’s south entrance, between the Mariposa Grove of Big Trees and the Yosemite Valley. It was built in 1876 by the Architect Washburn Brothers as Late Victorian Architectural style to serve tourists visiting the nearby Mariposa Grove of Giant Sequoias (Sequoiadendron giganteum). As tourism increased, through 1916, the hotel built additional rooms and facilities. This old hotel was declared a National Historic Landmark in 1987, and is on the National Register of Historic Places. In 2016, the Wawona Hotel was renamed Big Trees Lodge due to a legal dispute between the US Government, which owns the property, and the outgoing concessionaire, Delaware North, which claims rights to the trademarked name. Across from the hotel is a nine-hole 3,035 yards (2,775 m), par 35 golf course, Yosemite Park’s only such facility. It is one of the few within any U.S. National Park. The course is open daily from spring to fall, weather permitting. In operation since 1918, the golf course is the oldest in the Sierra Nevada. In the Wawona Hotel there is also Thomas Hill studio (1829–1908), a renowned landscape painter of the Hudson River School, stayed at the Wawona Hotel toward the end of his life. He used the hotel pavilion as his painting studio and completed numerous works of the region. This is listed separately on the National Register of Historic Places. More attractions are available in this area beside the famous Mariposa Grove of Giant Sequoias which include horseback riding and guided end trips to the Mariposa Grove of Giant Sequoias, the horseback trip start and end nearby Tenaya Lodge; one of the top hotels in Fish Camp and Yosemite outer area. There is also an old steam train visitor can ride along the way to Oakhurst.